After intervention by governor Phil Murphy, public safety director Jerry Speziale has decided against running for Passaic County sheriff. Speziale, who served as sheriff from 2002 to 2010, had been eying the post since returning to Paterson in 2014. He had promised to move the Passaic County Sheriff’s Department headquarters to the crime-ridden 4th Ward in Paterson several years ago. His decision follows “outreach” from Murphy’s team. Murphy’s people convinced him not file the already collected nearly 4,000 petition signatures to challenge incumbent Richard Berdnik in the Democratic Party primary. Speziale also has no plans to run as an independent in November. It’s not clear what Speziale was offered in return for staying out of the race. Speziale did not respond to a call for comment on Thursday afternoon. 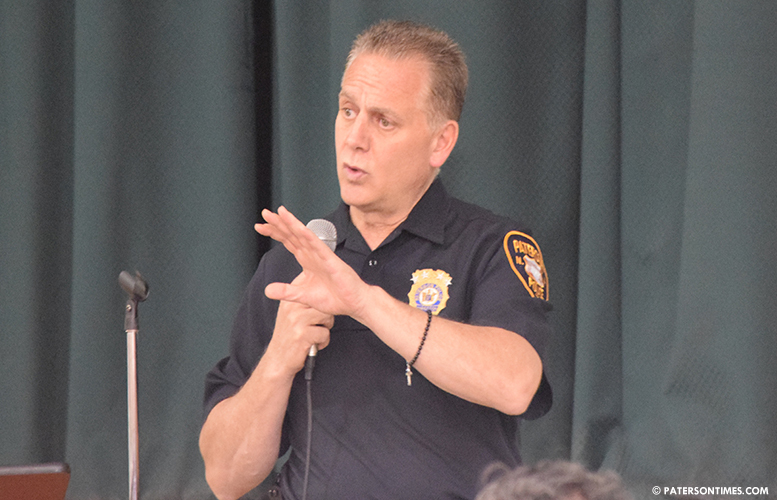 Speziale works as public safety director in Paterson and police chief in Hazleton. “I am proud to continue to be part of the Mayor’s team because he is doing the very best job that he can for the people of our great City,” said Speziale. Mayor Andre Sayegh put his support behind Berdnik on Wednesday. Last month, a survey was conducted that showed Speziale could capture the sheriff’s office. Survey found Speziale had far more name recognition than Berdnik. Meanwhile, Berdnik’s supporters had begun conducting opposition research, digging up old stories on the former sheriff. “I want my supporters and the people who carried petitions on my behalf to know that I will never forget their friendship and that we will continue to work together to achieve great things in the future,” said Speziale.